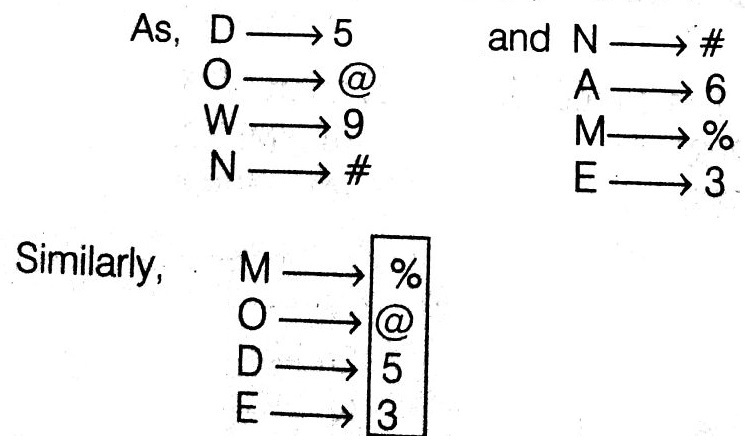 After reading symbol coding questions, you can practice of Deciphering Coding Questions with answers for your better performance. Q.1. In a certain code, RAID is written as %#*$, RIPE is written as % * @ ©. 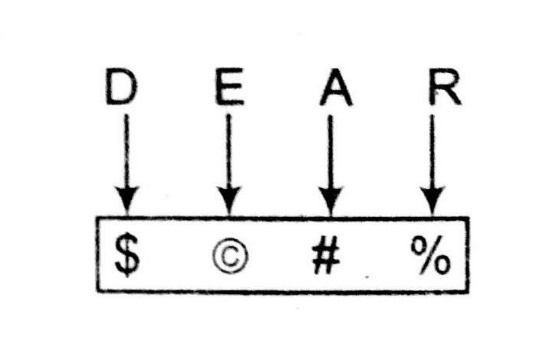 How is DEAR written up in that code? Q.2. In a certain code, MODERN is written as 5%38#@ and WIN is written as 6©@. 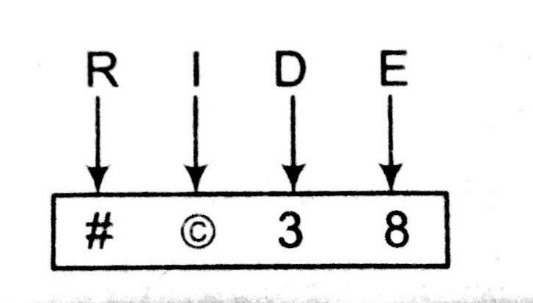 How is RIDE Written in that code? Q.3. In a certain code, ROPE is written as %57$, DOUBT is written as 35#8* and LIVE is written as @24$. How is TROUBLE written in that code? Q.4. In a certain code, MEAN is written as $57* and DOME is written as 93$5. How is MOAN written in that code? Q.5. In a certain code, 'BOY' is written as '$*•' and 'HOUR' is written as ‘@*£O’. 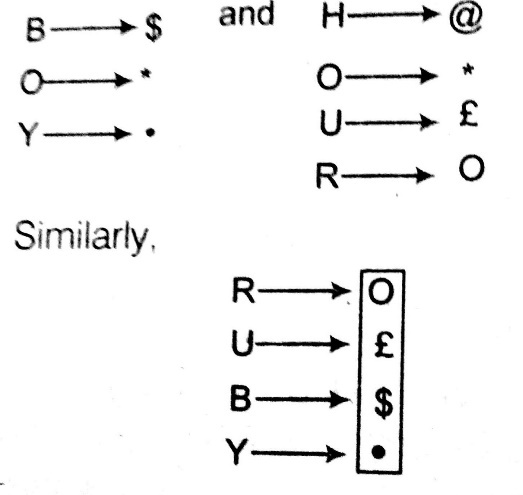 How is 'RUBY' written in that code? Q.6. In a certain code, ‘DOWN’ is written as ‘5@9#’ and ‘NAME’ is written as ‘#6%3’. How would ‘MODE’ be written in that code?